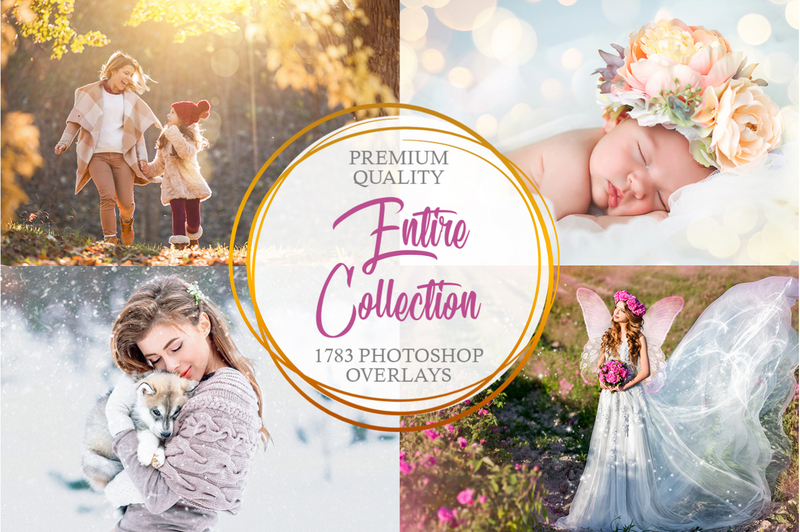 Thanks to this set of free Christmas bokeh overlays every winter photo will become special and magical in several clicks. Highlight the brilliance, brightness, and saturation of the photo using one of the 10 free bokeh Christmas lights overlays. Garlands, lanterns and Bengal lights are important attributes of most Christmas photos. 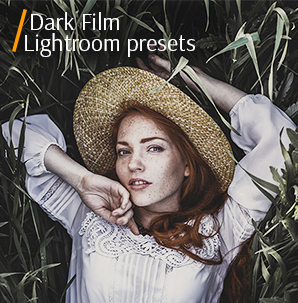 Enhance their light with bokeh overlays and get the moody and perfect photo fast. As a rule, most Christmas photos need a bokeh effect that makes the atmosphere fabulous. It's hard for a photographer to achieve this effect during photography, especially if you have not a good lens. 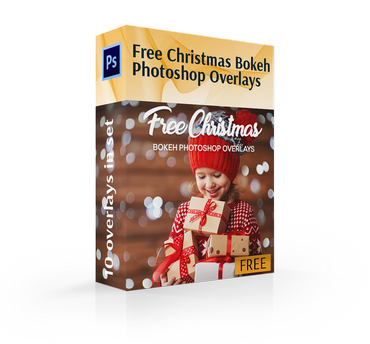 We offer you an easier way - to use Christmas bokeh overlays free. They won’t only decorate your shot, but also add light, brightness and magic. Christmas lights bokeh overlays designed by FixThePhoto can be used in portrait, street, family, wedding, couple, lifestyle, and landscape photographs. The Photoshop overlays look realistic so no one will say that the bokeh effect was added during photo retouching. PS Overlay #1 "Christmas Tree"
PS Overlay #2 "Multicolored Sparkles"
PS Overlay #3 "City Lights"
PS Overlay #4 "Night Mood"
PS Overlay #6 "Party Lights"
PS Overlay #7 "Home Illuminations"
PS Overlay #8 "Magic Moments"
PS Overlay #9 "Golden Miracles"
PS Overlay #10 "Let It Snow"
Realistic highlights in different colors and sizes will be the main tools in your photo editing. 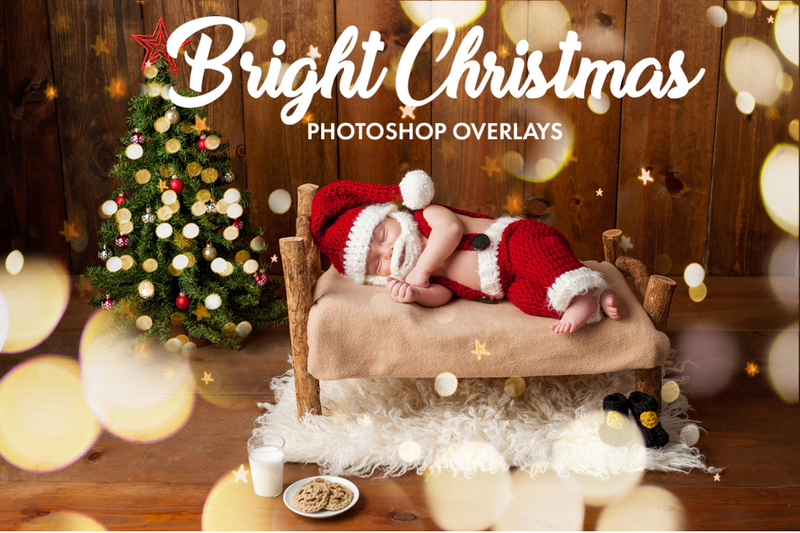 You can download Christmas bokeh overlay fast on your email without registration and additional payment. 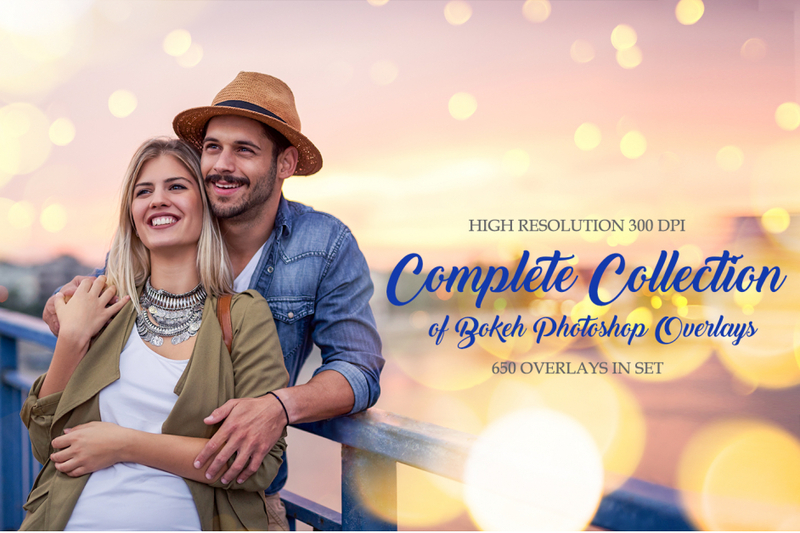 You do not need to have much experience in Photoshop photo retouching. Just put one or more overlays on your photo and click on the blending mode. Try and turn on the light on your winter photographs! Having tested them on a large number of various pictures, we guarantee they will look their best on both outdoor and studio Christmas photos. 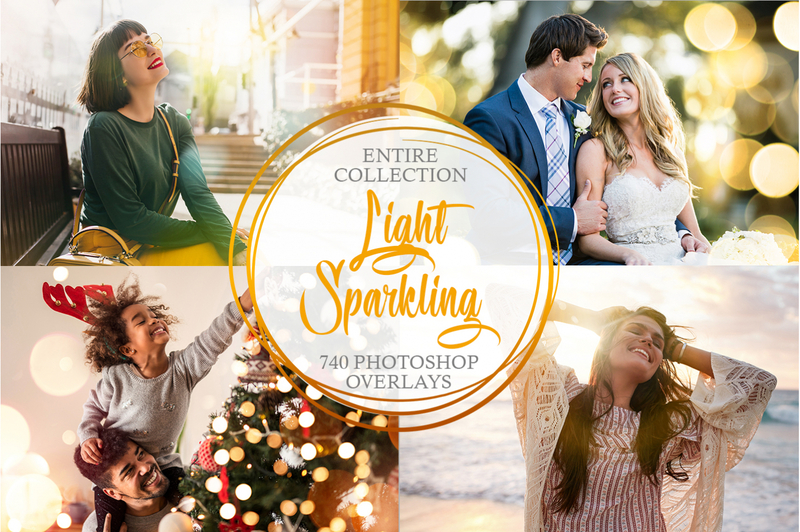 As a result, we got 10 universal Christmas lights bokeh overlays that are ready to use. 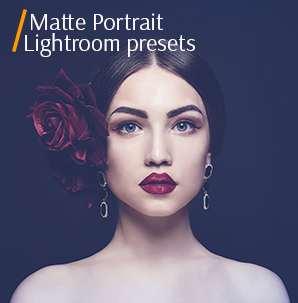 Just download them and create perfect photos in several minutes. Compatible with such programs as "Photoshop 4-6" and "Adobe Creative Cloud"
Christmas Light Bokeh Overlay #1 "Christmas Tree"
Use this free bokeh Christmas lights overlay for the photos with real bokeh to enhance the effect. This overlay #1 was taken from "Bright Christmas"
Adds a bright light and makes the photo atmospheric. Highly recommended to use it for the photos with a Christmas tree on the background. Free Photoshop Overlay #2 "Multicolored Sparkles"
Use it for the photos taken in dim light, indoors. This overlay #2 was taken from "Bright Christmas"
This effect adds the light of the garlands, as it is an important attribute of every Christmas picture. Multicolored, different sizes and shapes. Christmas Light Bokeh Overlay Free #3 "City Lights"
This overlay #3 was taken from "Bright Christmas"
It makes the picture more vivid and atmospheric. Looks especially great on close up portraits. Bokeh Overlay Free #4 "Night Mood"
Use it for the photos where the focus goes to the foreground and the background is blurred. This overlay #4 was taken from "Bright Christmas"
If you want to make a photo cute and attractive, then you need this free Christmas light bokeh overlay. It gives photos a warm holiday atmosphere. Christmas Bokeh Overlay #5 "Gold"
Remember, the blurry lights in the background will give the picture a unique charm and create a special holiday mood. This overlay #5 was taken from "Bright Christmas"
This Photoshop plug-in makes the photo romantic and cute. Looks incredible of couple photos taken in motion. Photoshop Bokeh Overlay #6 "Party Lights"
This kind of free Christmas bokeh overlays are suitable both for color and black-and-white photos. This overlay #6 was taken from "Bright Christmas"
This PS overlay makes the photo’s colors rich and bright. It is great for family shots taken near a Christmas tree. Free Christmas Light Bokeh Overlay #7 "Home Illuminations"
Use the bokeh effect to visually highlight the main subject. This overlay #7 was taken from "Bright Christmas"
This overlay is usually used for baby and children photos taken near a Christmas tree at home. 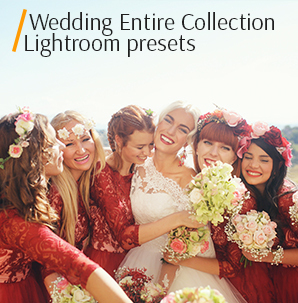 Great PS plugin for family photo retouching. Free Bokeh Overlay #8 "Magic Moments"
The effects are suitable for editing photos taken both outdoors and indoors. This overlay #8 was taken from "Bright Christmas"
Using this PS plug-in you can add more light and good mood on your photos. Be careful and don’t put the bokeh on faces. Bokeh Christmas Lights Overlay #9 "Golden Miracles"
Use this overlay to retouch dark photos, as the free Christmas light bokeh overlay will lighten them. This overlay #9 was taken from "Bright Christmas"
It perfectly brightens any Christmas photo. Play with the opacity to receive a realistic effect of hundreds Christmas lights. Photoshop Overlay Free #10 "Let It Snow"
Edit photos on which there are certain objects are emphasized. Usually, such items are brought to the foreground, since bokeh is used as a background. This overlay #10 was taken from "Bright Christmas"
This is one of the best tools for winter photos taken during the winter fall. If you want to add the atmosphere of winter and wonders, then this is what you need!